Take control over your hiring process with configurable application forms in Hireserve ATS. You can build your own application forms to suit different roles and hiring processes. Your application forms will be mobile-optimised, to make sure you don’t miss out on candidates on-the-go. Ultimately, you want to build quick, simple and effective application forms so that you engage and retain candidates throughout the process. With Hireserve ATS, you can do this. Why not allow candidates to apply with LinkedIn? 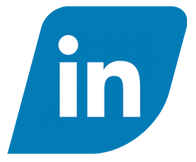 This quick and simple tool takes an applicant’s LinkedIn profile and converts it into a CV format and populates their application form automatically with the relevant information. It’s a quick and easy way for candidates to apply for a role with you! If you want to encourage speculative applications, you can allow candidates to upload their CV simply and easily. It’s essential to ensure you retain candidates throughout your application process. To do this, you can use the Hireserve ATS standard report: ‘Section stats’. This allows you to see where candidates have dropped out of your application process, so you can identify potential problem areas and remedy them.